This masquerade feather eye mask is hand painted and glittered. Comes with black ribbon ties. 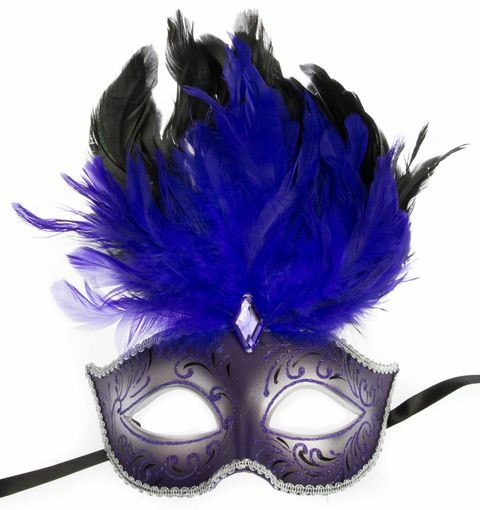 Mask color silver and dark purple.